When a tooth is lost or must be extracted, our experienced dentist—Wayde Fawcett, DDS—can use a variety of tooth replacement options to restore your smile. Following a comprehensive dental examination—complete with diagnostic imaging captured with our digital x-ray machine and/or Galileos 3D™ scanning system—Dr. Fawcett can evaluate the condition of your oral health and present tooth replacement solutions that align with your needs and goals. Each of these approaches listed above offers unique benefits and limitations that Dr. Fawcett takes the time to explain during the consultation. Based on the number of teeth missing, where they are located, the condition of the teeth surrounding the gap(s), and your budget, you and Dr. Fawcett can determine the most suitable tooth replacement solution. Your treatment plan will be customized to provide the most comfortable, functional, and natural-looking results possible. 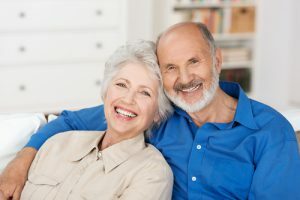 Whether you choose dental implants or All-on-4®(both of which rely on implanted titanium posts that fuse with the jawbone), a fixed dental bridge held in place by crowns, or a removable prosthetic device, Dr. Fawcett will use his more than 30 years of experience and expertise to deliver a full smile you can be proud of. For more information about our tooth replacement options, we encourage you to contact our practice to schedule an appointment with Dr. Fawcett. Next Post: How Does Stress Affect Oral Health?